24 Hour Locksmith Spring: What Do We Do? Welcome to the Affordable Locksmith blog! One question that we commonly get, is “what kind of services do you provide?” or “can you fix (fill in the blank)?” Locksmiths can help you with a variety of security issues. We can not only repair, but we can also install and upgrade locks. 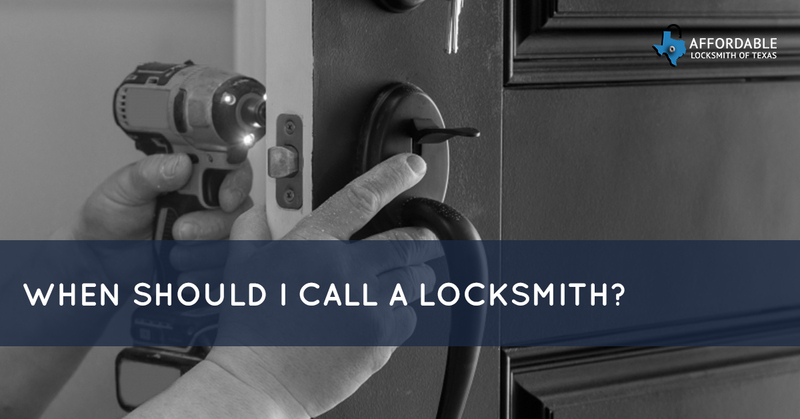 So when do you call your local, 24-hour locksmith in Spring and The Woodlands area? Keep reading to learn more how we can help you have better security and essentially, solve many problems you face. If you are locked out of your car, your home, or business, you should call for a locksmith. A locksmith can let you in when you went out to get the paper and the door accidentally locked behind you or when your keys are sitting on the seat in your locked car. You should also call us when you move. Why? Unless you are moving into a brand new home, you will have no idea who has a copy of your house keys. The old homeowners might have lent a copy to their nanny who forgot to give it back or to an angry ex. Instead of taking chances, get your locks rekeyed, an effective and more cost-effective means for better security than changing the locks. If you lose or break your key, it’s time to call a locksmith. A locksmith can rekey your locks and give you a new key. They can also create a new key from an old broken one if you have all the pieces. You should also call a locksmith when your locks are no longer working like they used to or are completely broken. Many times an old lock can be like-new if it receives some TLC and cleaning; if that still doesn’t help, it’s time to call a locksmith. You could install your new lock yourself. However, even deadbolts may be less effective or not protect your home at all, if they are installed incorrectly. Did you buy your dream car years ago and are ready for the convenience of a transponder or key fob? Have you lost your transponder key for your couple-year-old car? Call your locksmith! We can install and program a transponder key or key fob for much less than the dealership. You don’t have to drag your feet due to money concerns. Call us! Need locksmith services? Call Affordable Locksmith of Texas! We are licensed, bonded, and insured. You can count on us for reliable 24-hour locksmith services.